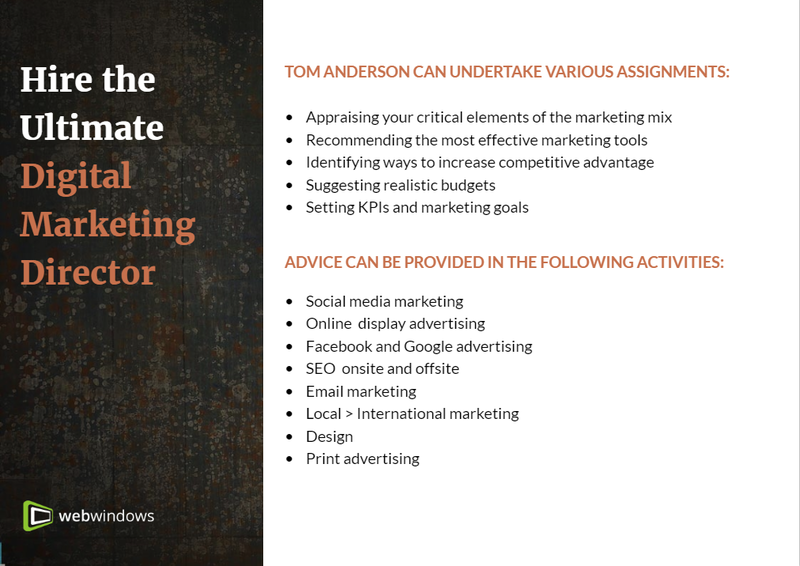 As a Marketing Director, Tom will perform a more strategic role than a Marketing Manager, and his insight will be to the overall benefit of the company rather than a single department. 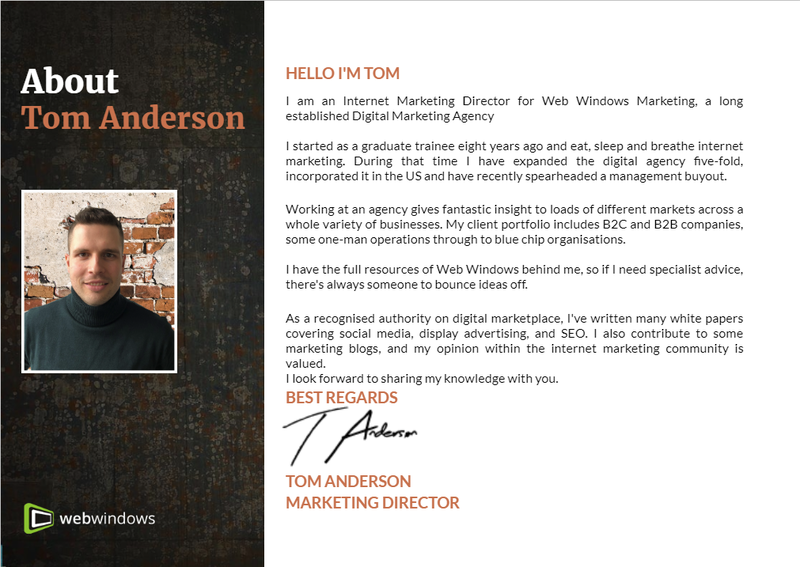 Tom Anderson is a 30-year-old high-achieving business graduate and has recently become a co-owner of Web Windows Marketing Limited. 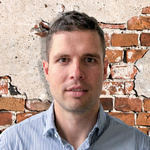 He started at the agency as a graduate trainee eight years ago and has lived on a strict diet of internet marketing ever since. 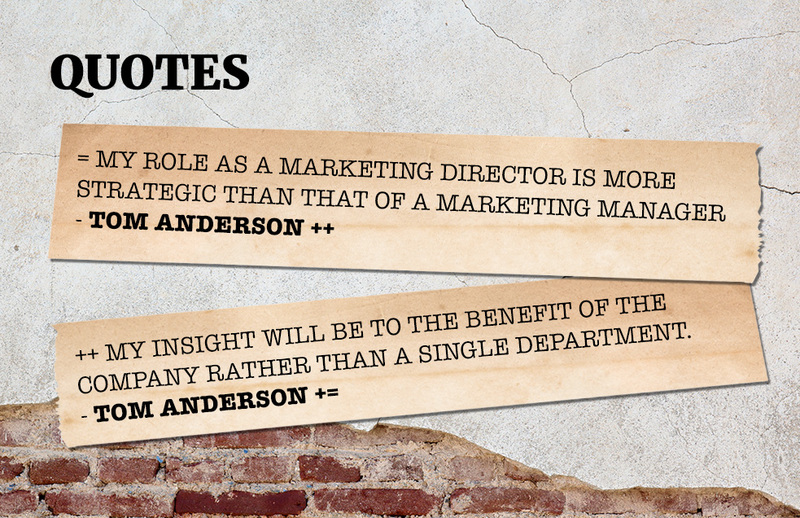 Full-time Marketing Directors with credible marketing knowledge and proven track record are a rare breed. And it’s easy to see why. A good marketing executive has the ability can transform a business’s profits and in doing so, justify a six-figure salary. This Hourlie allows you (or your team) to work one day a month with Tom on all aspects of your company’s marketing, at a fraction of the full-time cost. A call will be scheduled to discuss your requirements. Next, you will be asked to complete a discovery questionnaire which will give insight into different aspects of your business and its market. From there, an audit of current and past will be conducted. Tom will digest the information and start the process of suggesting improvements and setting a SMART-orientated action plan. 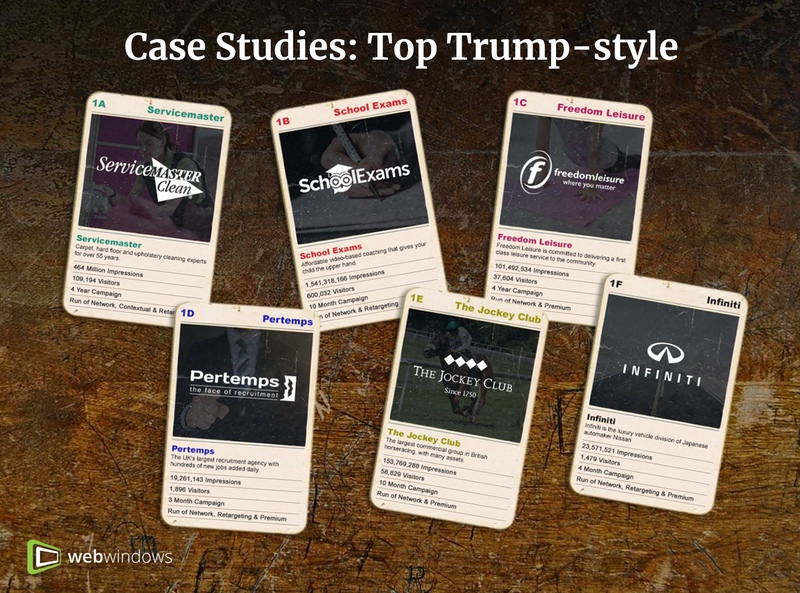 No two businesses are the same, and carefully tailored strategies will match your unique marketing needs. Tom will need a suggested date and time to schedule an initial phone call. He will also need your email address so that a discovery questionnaire can be sent for completion. 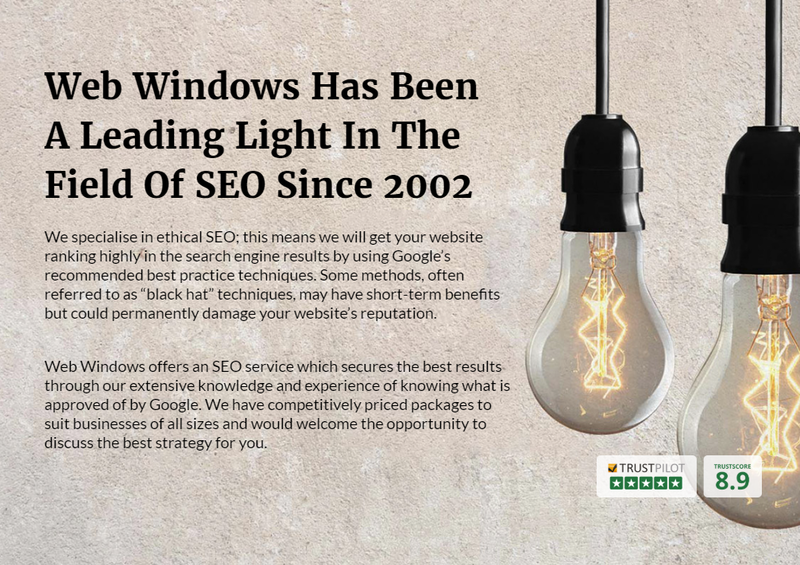 Since August 2018, Web Windows is a TOP TEN player on PPH in the fields of Marketing and SEO. Working with freelancers on PPH can quickly drive you to tears. 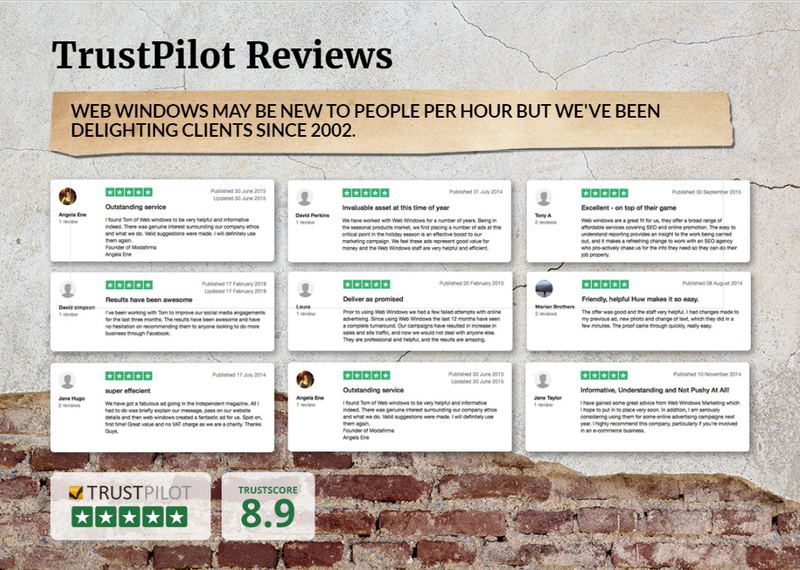 Finding a quality digital...Read moreSince August 2018, Web Windows is a TOP TEN player on PPH in the fields of Marketing and SEO. Working with freelancers on PPH can quickly drive you to tears. 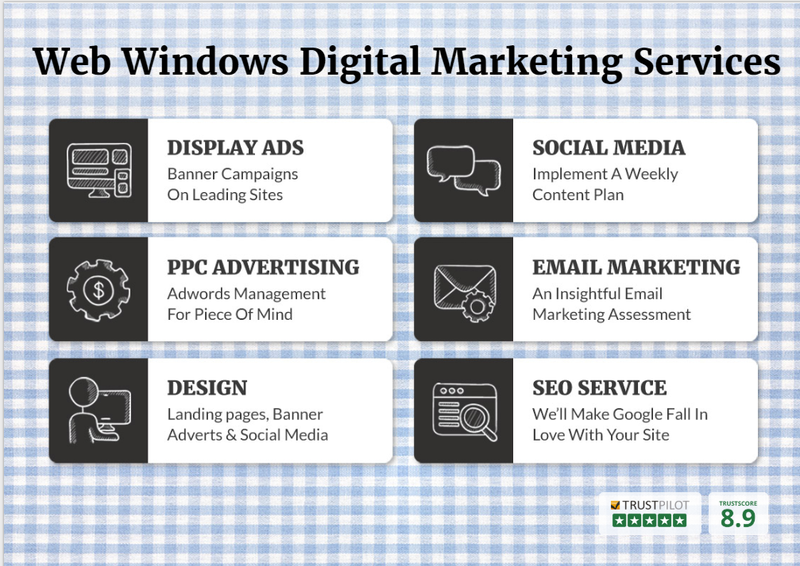 Finding a quality digital marketing agency like Web Windows on this platform will save you a lot of aggravation. Many freelancers use People Per Hour because they are "between jobs" or doing a bit of moonlighting to supplement their day job. Either way, it's not a stable foundation on which to build a working relationship. So by finding Web Windows on PPH, you might just have saved yourself a whole lot of aggravation. For starters, we are who we say we are. No tall stories or exaggerated claims. Feel free to do some Googling on us, and you'll soon find out that we were established in 2002, employ 15 staff in Peterborough, and if you're a fan of Google Street View, you'll see we have bricks and mortar offices just opposite the town hall. The crucial thing about digital marketing is that no one individual can master all the disciplines required for an integrated approach; whereas a team of multi-talented people can. 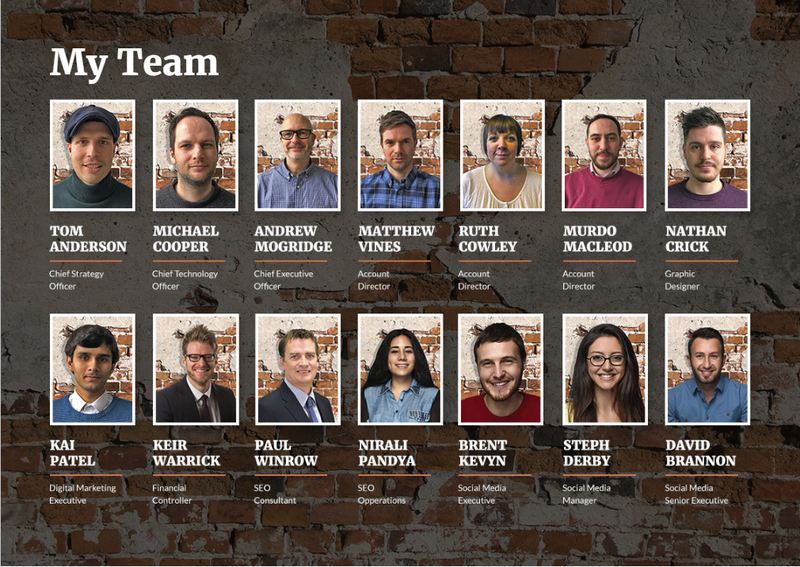 Included on our full-time payroll are a design genius, a strategy egghead, four marketing rockstars, four social media clever-clogs, an SEO God and a Technical supremo. Oh yes, and a Border Terrier who makes himself available for long walks, which is essential when the time is needed to come up with bright ideas. At the moment your only focus is one project, but one thing often leads to another. Knowing we have a multi-skilled to call upon at a point in the future is reassuring and something no single freelancer can offer. 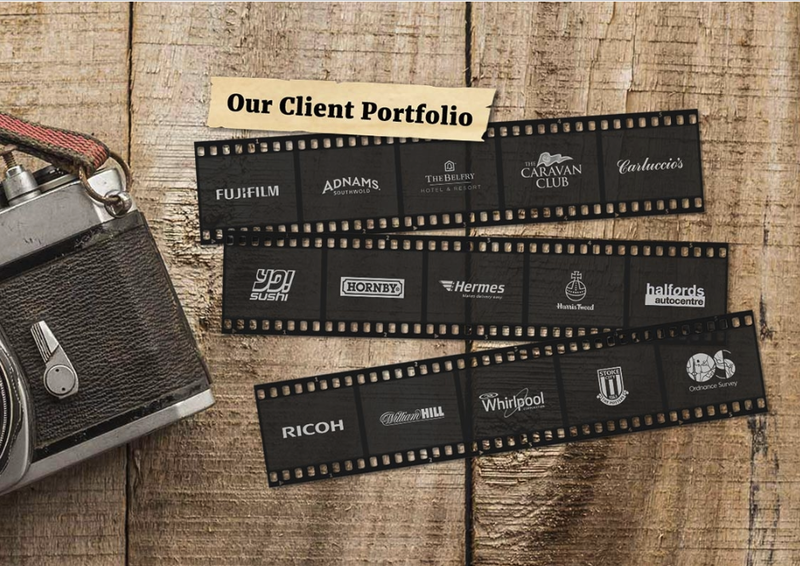 Reliability is another advantage we have over many freelancers. We don't use mobiles, everyone works standard GMT office hours and we'll never to do the disappearing act. Finally, Web Windows has built its reputation on results and repeat business. So if we sound like the kind of fun people you'd like to work with, we'd love to hear from you.